Parents need to know that a foreign body in the airways of your child represents a medical emergency and you should contact a physician immediately. Although foreign bodies in the ear and nose are deemed as common cases for children, you are also advised to bring in your child for a medical check-up immediately so as to prevent further complications. Because ENT for Children is aware of the gravity of such situations, we will deliver prompt emergency treatments and quality aftercare for your child. What are the indicators of foreign objects in the ear? Foreign objects that make their way into the ear can block the canal and affect the child’s hearing. 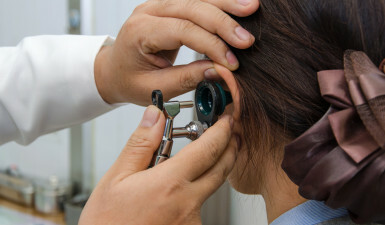 The cases are prevalent in children under the age of 5 and who suffer from chronic hearing conditions. Take note that not all objects that end up in a child’s ear cause the known symptoms (drainage, pain and redness). This is particularly true in the case of food and insects. What are the indicators of foreign objects in the nose? Take note that the object needs to be withdrawn immediately to avoid soft tissue damage and potential infection. What are the indicators of foreign objects in the airway? Removing the object that is blocking the airway is imperious. Even if the child is able to breathe or talk, but manifests any of the aforementioned symptoms, he/she needs immediate medical attention. Foreign objects that end up in the child’s airway are life threatening. In fact, statistics indicate that over 90% of home accidental deaths in small children (under the age of 5) occur due to foreign bodies in the airway. This is why it is highly advisable to seek emergency treatment immediately. To avoid such dreadful situations, parents are highly advised to supervise their children, especially during playtime. By watching the child, the parent will be able to intervene immediately and prevent him/her from choking. How are the foreign objects extracted from the ear, nose or airway? Extracting the object can be done with a suction machine or with a specialized medical instrument. In the event the object is completely blocking the airway – meaning the child is unable to breathe and talk – then a surgical intervention might be in order. Following the removal of the object, the physician will re-examine the child and assess potential damage to the soft tissue. In the event you notice any of the aforementioned symptoms, then contact us right away. We will promptly examine your child and administer the adequate treatment immediately.